Heading to Sunshine Coast? With over 3 million visitors per year, it’s time to take a cue from Visit Sunshine Coast and ”Join the Vacation Migration” today! Home to a number of attractions including Steve Irwin’s Australia Zoo, UnderWater World Marine Park, The Big Pineapple and more, the entertainment never ends in the Sunshine Coast. The scenery includes gorgeous beaches, freshwater rivers and lakes, and national parks throughout the region. 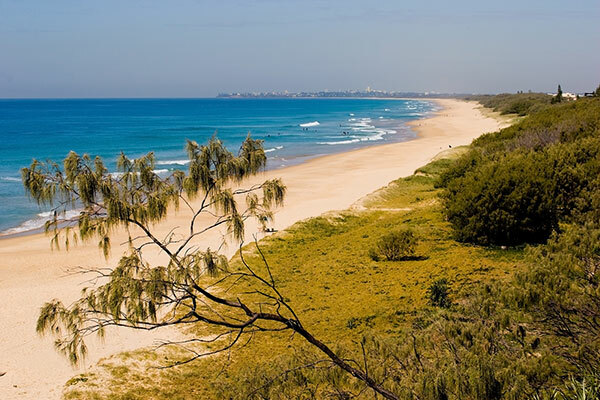 And Limoso can provide sedan and limo hires to help you navigate all of Sunshine Coast. Planning on flying in to the area? Our Sunshine Coast airport transfer has you covered. Limoso provides reliable, comfortable, and stress-free car service to and from Sunshine Coast Airport. Our variety of luxury cars, motor coaches and limousines make transporting groups of any size a breeze, and ensure that you arrive on-time for your flight. Limoso provides limo hires all over South East Queensland, including airport transfers from Brisbane to Gold Coast. Let us help you plan your next Sunshine Coast limo today! We also supply executive car services, cruise transportation, and wedding limo hires in Sunshine Coast. Novotel Twin Waters Resort - Ocean Dr. The Sebel Maroochydore - Aerodrome Rd. We can get you to or from your hotel in Sunshine Coast to Brisbane Airport on time and in style! You can also reserve a Brisbane Airport to Sunshine Coast Airport transfer. What are you waiting for? Get started booking a Sunshine Coast limo today, or explore our other offerings to find the perfect service for any of your needs.